Flat Heroes [Deck 13] – Ouch That Hertz! There is a certain movement that has started to gain momentum in the past few years that flies in the face of science. A movement that riles up vicious debates on social media and in the real world. A movement that leaves many confused how it ever even got started. This movement is the Flat Earthers. What? What else could I have possibly been referring to? I mean how is it possible that there are people in this world that just outright disregard the hard fact that the Earth is spherical? Add in the fact that some of these same people also believe in other insane theories, like the theory that our bodies do not need medicine because it creates its own, and that becomes why some of us pick up games to escape from them. In this instance, is Flat Heroes enough of a distraction or will gamers be scrambling to find another escape? 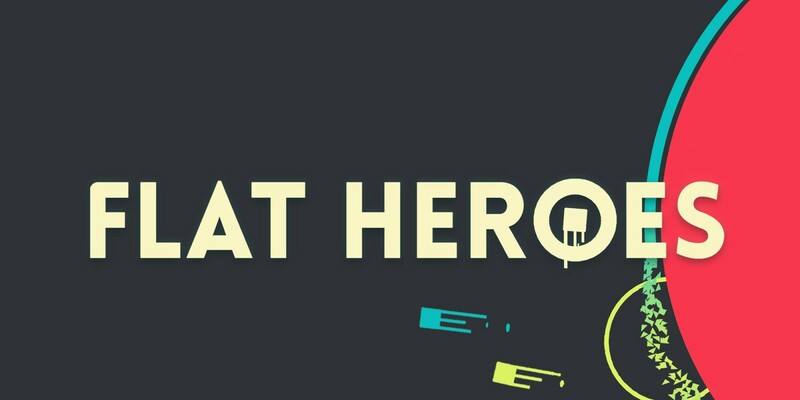 In Flat Heroes the purpose of this game is simple: the player must avoid being hit by the projectiles that will appear within the single squared area on the middle of the screen. These projectiles in the beginning appear and are then shot in a single direction. 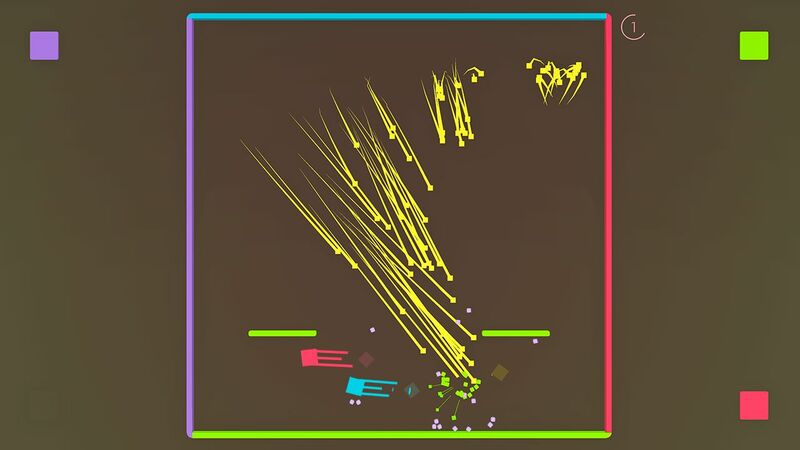 The player may avoid them by moving to the right or the left, jumping, double jumping, dashing mid-air, and/or sticking to the platforms in a level or the sides of the square. As the player progresses through the ten worlds of fifteen levels a piece, for a total of one hundred-fifty levels, the bullets are joined by guided bullets that chases the player’s square, lasers, and bouncing blobs among other enemies while the player only adds a pulse that can detonate nearby projectiles. Some of the mechanic combos required are interesting and downright rewarding once the player realizes what they pulled off. The campaign with its one hundred-fifty levels provides a sizable chunk of content in one mode alone, but outside of the boss fights for each world, most of the levels are uninterestingly simple to figure out and outright dull. With this much content to be had, there is a magnitude of potential gameplay time to be found. However, the player will most likely lose interest before even nearing the end of the game. Luckily, the game also features a survival mode where the player (or players) must… well, survive as long as possible, while there is a more competitive Versus mode in which players face off against one another. Another aspect of the game is that it promotes couch co-op prominently throughout the game as four players can play locally on one Switch in all game modes. While these modes help keep the game fresh, the limited appeal for these modes means the potential impact is itself limited. On the quality of life side of things, Flat Heroes is again a mixed bag. On the one hand, I enjoyed being able to change the background of the main menu by using the bumpers, but the selection never seemed to stick over different play sessions, which was disappointing and made me question the point of the feature to begin with. Additionally, there is no settings menu in sight, not even when the player pauses in game. The latter of these two negatives is a glaring omission, as a settings menu is one of the foundation points of a video game. There is also the fact that there is no tutorial on what the game is about and what the limited controls are. This leads to a quick trial by fire of a first level, but the controls are simple enough that things quickly work themselves out. Review copy provided by Deck 13; Reviewed on the Nintendo Switch in handheld mode.